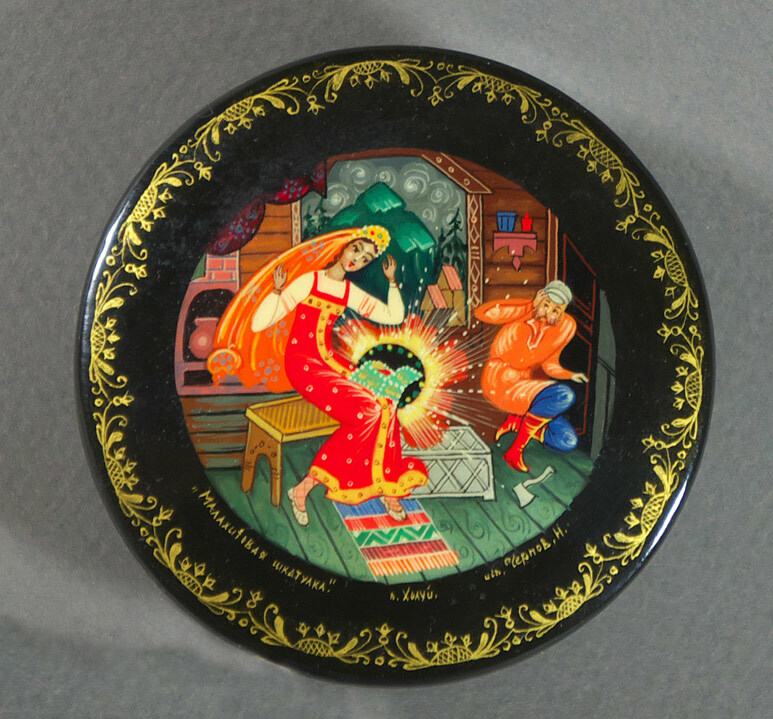 Hand painted and gilded lacquer box from the Russian village of Khouli, depicting the opening of the magic malachite box from the ‘Queen of Copper Mountain’ fairytale. Signed in Cyrillic, ‘Khouli’ with title and artist’s signature. 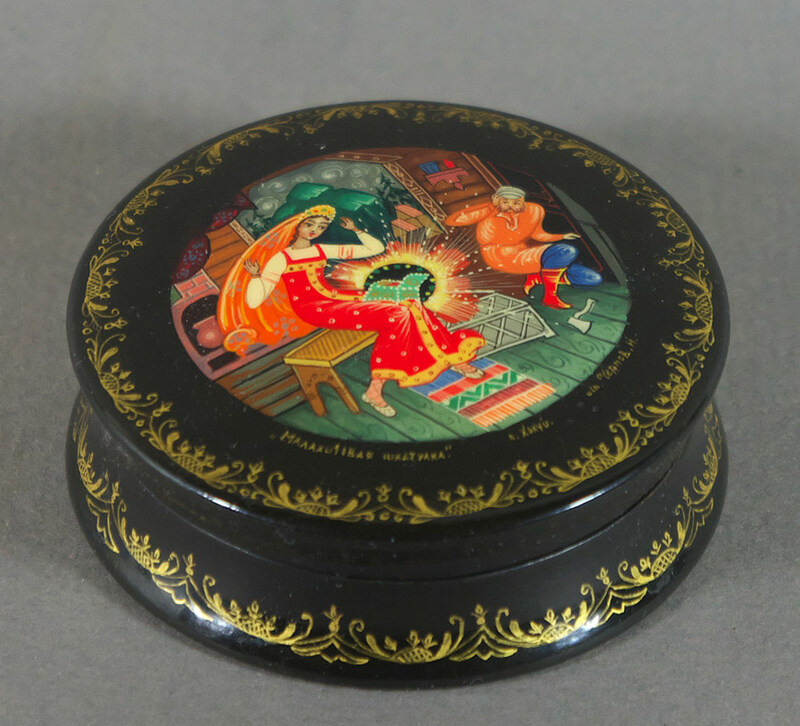 Size: 2-3/4″ x 1″ high.